A fast, educational Mother's Day project. 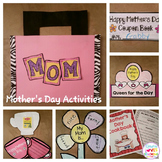 Students will practice a variety of skills as they create an adorable gift for their mother or loved one. Student Mother's Day gift. 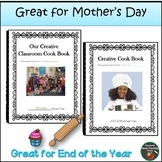 Each student will write their favorite recipe their mother makes for them. 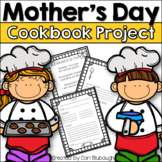 When everyone is done, make a copy of each students recipe and make a cookbook out of it to give to the mothers for Mother's Day. 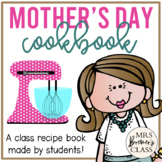 This is a book that you can give to your students to make for their moms. Use this graphic organizer to help your class brainstorm ideas before writing their Mother's Day Cookbook. 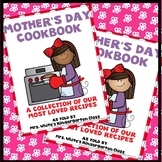 This is a fun Mother's Day cookbook that your students can put together to show mom that they care! There is both a colored and black and white version. Students are directed to write their favorite dish made by mom, then to explain which ingredients are in the dish, and how the dish is made.